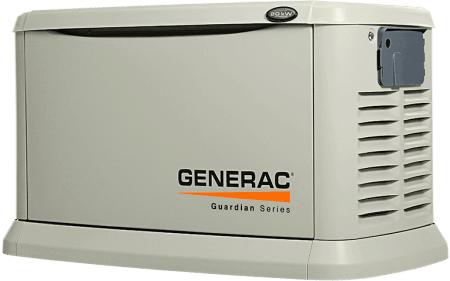 Generac is a brand that more people trust when they need a dependable generator. Currently, Generac is the #1 home and commercial generator brand around. There’s a certain comfort you gain when working with the Generac brand; no other brand can provide this pleasure. Generac generators feature all-weather aluminum enclosure, keeping the unit out of danger from wind and other weather elements. True power technology provides the ample amount of power every time that it is needed. And, thanks to extended warranties offering 5, 7, or 10 years of worry-free use, customers who choose the Generac brand can do so with comfort and peace of mind. Generac generator customers must take care of their unit if they wish for it to provide years’ of great use. Preventative maintenance and regular service are important to keep the unit working properly for long as possible and required to keep the warranty on the unit in force. ARK Generator Services offers both preventative maintenance and service on Generac generators. We offer 24/7 emergency service because we understand that, when there is no power, it is critical for many people. We use only certified power consultants who understand the Generac brand inside and out. We offer service for all types of Generac generators, including Generac gasoline generators, Generac diesel generators, Generac natural gas generators, Generac standby generators and Generac portable generators. It is easy to choose a Generac generator. You know it’s the best; why look elsewhere? The problem lies in finding a Conroe generator installation company that is worth your while. ARK Generator Services aims to please, providing quality generator installation for your home. With a 100% satisfaction guarantee and knowledgeable and professional installers on hand, you can always count on ARK Generator Services to go far beyond your expectations and provide you with a memorable experience. Electrical outages typically occur without warning and can be disastrous for unprepared home and business owners. A Conroe standby generator professionally installed by ARK Generator Services provides your home or commercial business with full power in the event of an outage or unplanned fluctuations in voltage, engaging immediately with total hands free operation.